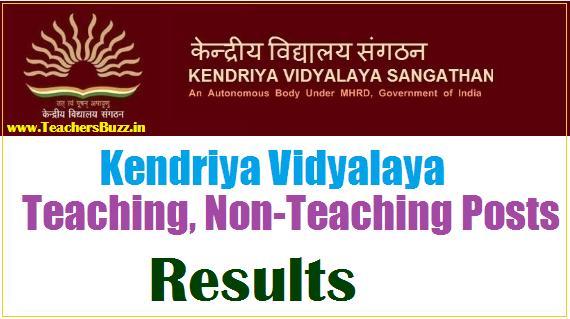 KVS Kendriya Vidyalaya PGT TGT PRT Librarians Results 2019 Download @ kvsangathan.nic.in KVS Results sheet : KVS Recruitment 2018 2019 for Post Graduate Teacher (PGT), Trained Graduate Teacher (TGT), Head Master (HM), Libratrian, Vice-Principal Posts through Official website www.kvsangathan.nic.in. Kendriya Vidyalaya Sangathan is conducting Limited Departmental Examination for filling up the posts of Vice-Principal, PGT, TGT TGT Hindi, TGT English, TGT Sanskrit, . TGT Science/ Biology, TGT Mathematics, . TGT Social Science . 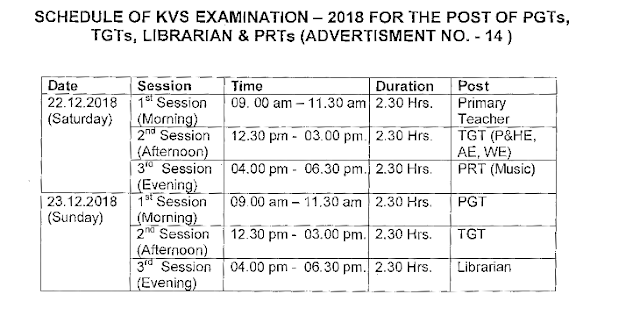 Head Master (HM), KVS Recruitment 2018-19 PGT, TGT, HM Jobs @ kvsangathan.nic.in. Kendriya Vidyalaya Sangathan KVS released notification for the recruitment of the posts of PGT, TGT, HM under KVS Recruitment. KVS Principals, PGTs, TGTs, PRTs, Librarians Recruitment Results 2019 available in this page. KVS will be conducting Limited Departmental Examination for fill up the under Mentioned Teaching Posts from amongst eligible Teachers of KVS. The decisive cricial date of eligibility for all purpose including obtainment of essential Educational and Professional Qualifications. like Graduation Post graduation B.Ed, Degree and Service Experience. kendriya Vidyalaya Sangathan Released Recruitment Notification 2018 to fill up Vice Principal Post Graduate Teacher PGT Trained Graduate Teacher TGT Headmaster Post through Limited Departmental Examination. Post wise Educational Qualifications Schedule to Submit Online Application Form at Official Website Date of Examination Selection Procedure are mentioned in Detailed Notification get here. KVS PGT Teacher Eligibility Criteria: (A) Two Year Integrated Post Graduate M.Sc./MA Course from Regional College of Education of NCERT in the concerned subject with at least 50% marks in aggregate. Master's Degree from a recognized university with at least 50% marks in aggregate in the concern subjects.